Don’t you long for the days when a car was a car? And two-tone duco over fair dinkum steel. That poly wussy wimpy mush. It’s like plasticene reinforced steel. It’s absurd. And you could hear if your brakes were working or not. That’s why those old-time marriages could survive such hardship. That tail-fins stop the back end blowing about. So what do you get now with these new fangled cars? Its alarm goes off and it howls the place down. Yet can’t even handle a simple jump start. Or an air-bag’ll jump out and smack you in the mush. Because you’ve never seen air in such condition. So is there no sense of style around any more? Don’t they know that’s what curves were invented for? And a coefficient of dag of minus 147. That’ll be me cruising by with the wind in my hair. They don’t put that one over me. Hired Steven Spielberg to do the TV news. He’d have fallen off the earth and hurt more than his pride. That stops the ocean emptying into eternity. And how far away do you reckon the stars are? They wouldn’t be any further out than the sky. Are where sparks from the sun have burned holes in the sky. Have punched those holes right through the sky. Decide who’s to rule that heavenly run. For an archway over the stairway to Heaven. Like how does the tide go in and out? And if there are holes in the sky, why doesn’t the air escape? And how does the moon keep changing its shape? What makes the place tick? Why is it so? And I reckon I’ll call it “The Universe” by me. There’s never nuthin’ much doin’ on a Sat’dy night. And there’s one table left, right in front of the stage. Now it’s a flash kind of joint. Mate they’re all drinkin’ wine. “Too right,” I says, “I’m hungry as a hog. Jimbo goes “With spuds thanks mate”. Then he shows us this ‘wine list’. It’s all a bit strange. And I knocks half me schooner in me finger bowl dish. Crikey, I never seen nuthin’ like ‘er before! They must have crossed an emu with a flamin’ rosella. Crikey, I never ‘eard nuthin’ like ‘er before! So I reaches out and touches her dress! Well he’s not that much chop anyway. And she’s fair dinkum lookin’ me straight in the eye. Crikey, I never felt nuthin’ like this before! But now she’s singin’ at Jimbo! And she’s givin’ him the eye! ’Cause that’s Jimbo’s trouble. He falls for that stuff! Me blue dog comes hurtlin’ in through the door. I says “Under the table you little mongrel! And just shut up and don’t move a muscle! Crikey, I’m prob’ly never ever gunna see ’er no more! “Not bad” I said. “You feeling okay? “It’s here that I dropped my swag. And a sun to shine on my back. Locks you up for the sake of his greed. That we only get one shot. Where Botany Bay – used to be. He’d marvel at our technological age. Their futures on the line. And he headed for the sky. And kicked 80 yards to score. Andrew Gaze how to slam dunk. As that old grey man flew high. The garter was his prize. That laid him on the deck. What a wonder! What a cracker! Soon outgrew the typing pool. She made the perfect cup of tea. And other problems I can’t mention. The wretch dictated onto tapes. Send the old girl to the knacker. She tangled up the World Wide Web. Behind the Wang and Olivetti. Words no virgin girl should utter. Vanished from each floppy disk. Get her on the mat and sack her! She’d come to terms with new technology! And in the Medibank Profit Wing. I says “Course I can you wa …..” zzzz. I’ll keep the blighters honest. Ah this is gonna be gross. And ties a sewing machine on the end. Grabs a knife and starts cuttin’. A pineapple into my stomach. The score’s a hundred and eighty to sixty three. Says this nurse who’s full of advice. That’s great news. Why is life such a battle? I just passed a pineapple! And the crush of the big city blues. And settles on my shoulder. For the wide eyed camera shooter. Have you seen a town like Alice? Have you seen a desert rose? Where the water rarely flows? Just beyond the never never. What are those sounds in the soft evening light? Have you been this close to the milky way? Have you heard a star shed a tear? Reached up and touched Venus on a clear outback night? God how I wish you were here. I feel your hand still near. Along a warm Arafura Sea. I’ll be dreaming of the Territory. Somehow you’re one lap behind. Now you’re two laps behind. 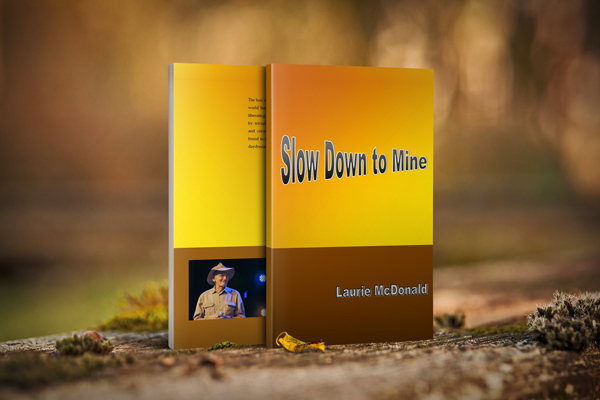 And darn well … slow down … to mine. That only the beetroot falls. Why would a woman shave her eyebrows? Where her eyebrows used to be? without so much as blinkin’. without knowing which way I’m facin’. in a motel bathroom basin. went out and had an affair. And I’m happy most of the time. Instead of sitting here feeling so petty. He couldn’t write a half decent line. That word’s going to be lonely. This paradise lost, and why? For I am doomed at every turn. By the likes of Sir Winston Churchill. And he still stands there looking so proud. And sung by Michael Crawford. By this second rate ageing Frank Spencer. And Clapton might do me unplugged. I’d lay me down with Simon and Garfunkel. With the razorback rhythms of Sting. On the day that the poetry dies. At Covent Garden or the New York Met. Bet they’ve never been to the opera. At least some of his work’s been published. But don’t hold your breath waiting, Laurie! THE BLAGGARD AND THE BOFFIN. A three-piece-suit and a most earnest face. Had computed that the air was turning brown. And nobody noticed and nobody cared. And levy a tax to save the land. And people believe Blaggards who don’t even blink. “We have to throw out this bad crazy tax”. And the bones of Galileo rolled in their grave. Wanting him to be Emperor, to rule their world. But the Blaggard thought “They just don’t understand. I’m already the most powerful man in the land”. But a Blaggard can’t know that he has no choice. He can’t bear the sound of not hearing his voice. What the Blaggard said, he said the same. Then the Emperor-in-Waiting grew even more loud. And the Blaggard just smiled as they walked out the door. But the people all said “We’re only small. The little we do won’t help at all”. “That’s the line I use for not paying my tax. Said “This tax has come at the very worst time. We should wait to see how all this unfurls. Choose a time when there’re no other problems in the world”. The old Boffin heard the land starting to wheeze. When they found the most important commodity was air. THE LEGEND OF MERKYL CRUD. You’ll hear the name of Merkyl Crud. Where boys become men and where men become free. For lying ahead was the mighty Bass Strait. So Merkyl changed into his long sleeved shirt. Dropped like a skier down Kosciuszko’s side. Cracked open the skull of Merkyl Crud. He slammed into the sunfish and snapped off the keel. Stabbed it in the heart with his Swiss Army Knife. The big maxi ahead would surely win. Could Merkyl do it? Who was the best? Then the spinnaker filled. The bow of the boat rose. Merkyl Crud passed the maxi and won by a nose. “King Merkyl!” they cried, for Merkyl was king. “You’ve forgotten to set your alarm again! Look at your bed! It’s in such a state! But I go bananas when you have me straight.